(Newser) – Americans have had it up to here with telemarketers—particularly the robot variety. April saw 212,000 complaints about robocalls, up from just 65,000 in October 2010, the government says. 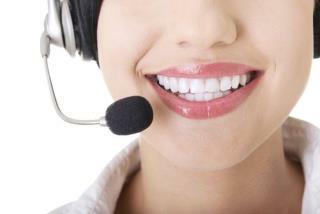 Over the same span, complaints seeking a stop to telemarketers' calls rose from 71,000 to 182,000, the AP reports. Telemarketers are supposed to check the federal Do Not Call list at least once a month; while 65,000 did that in 2007, just 34,000 did last year. I let them talk and agree to an appointment at my house at a specific time. Then when they show up, I tell them I'm on the no not call list and they're breaking the law. This way, they are wasting manpower and gas. When they call,I make and excuse and put them on hold till they hang up. Or I start talking politics to them,they alwayse hang up on me. Simple solution: Check the caller ID before answering and if the caller is not on your ID -- DON'T ANSWER.